system (LMS), you can count on our unique handmade hosting solution. Hosting for your ATutor website that just works. Servers optimized to give you the best ATutor experience possible. We’ll even install ATutor for you! We’ll move the ATutor site for you! Softaculous auto-installer – Install ATutor in just a few clicks. GD support – Needed for many ATutor plugins. Zend and Ioncube support – Needed for some ATutor plugins. 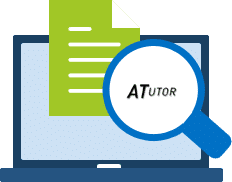 ATutor is an Open Source Web-based Learning Management System (LMS) used to develop and deliver online courses. 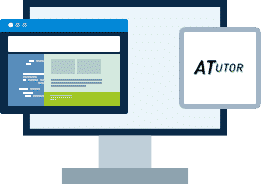 Administrators can install or update ATutor in minutes, develop custom themes to give ATutor a new look, and easily extend its functionality with feature modules. Educators can quickly assemble, package, and redistribute Web-based instructional content, easily import prepackaged content, and conduct their courses online. Students learn in an accessible, adaptive, social learning environment. Try the demo to experience ATutor yourself. Download ATutor to get a copy of your own.